You might have heard someone mention that they were taking a “gap year” to travel. This phrase generally refers to the year between high school and university, where students opt to take time off to travel and volunteer before continuing their education. Recently, I’ve heard people of all ages using this phrase. In the professional world, a gap year is the equivalent of a sabbatical, without the implication of study and research. While many people save up for their year of travel, others don’t have the luxury of truly taking that much time off work without any income. Several countries offer a working holiday visa program for US citizens looking to continue working while they travel and live abroad. What Exactly Is a Working Holiday Visa? If you’re looking to work abroad, the first step is to apply for a work visa. This visa will give you permission to work in the designated country for a specific amount of time, even if you are not a citizen. Typically, in order to attain a work visa in another country, you need to be sponsored by a company that plans to hire you. The gap year visa is a convenient workaround that allows you to legally work in a country without the complicated sponsorship of a private company. In short, it’s easier to get a gap year visa than it is to get a standard work visa. That said, there are some restrictions. These vary by country, and it’s helpful to know the limitations of each visa before signing up. This might help you determine which locations you’d like to live and work during your gap year. As long as you meet the requirements, you’re a likely candidate for a working-holiday visa. There are five countries where a US citizen can obtain a working holiday visa. Obtaining a visa to work in a country can also help you avoid annoying visa runs across the border before your tourist visa expires. You’ll also be able to live in the country for a set duration of time, usually between six months and one year. In this post, we’ll review the requirements for obtaining a visa, and the restrictions around each one. 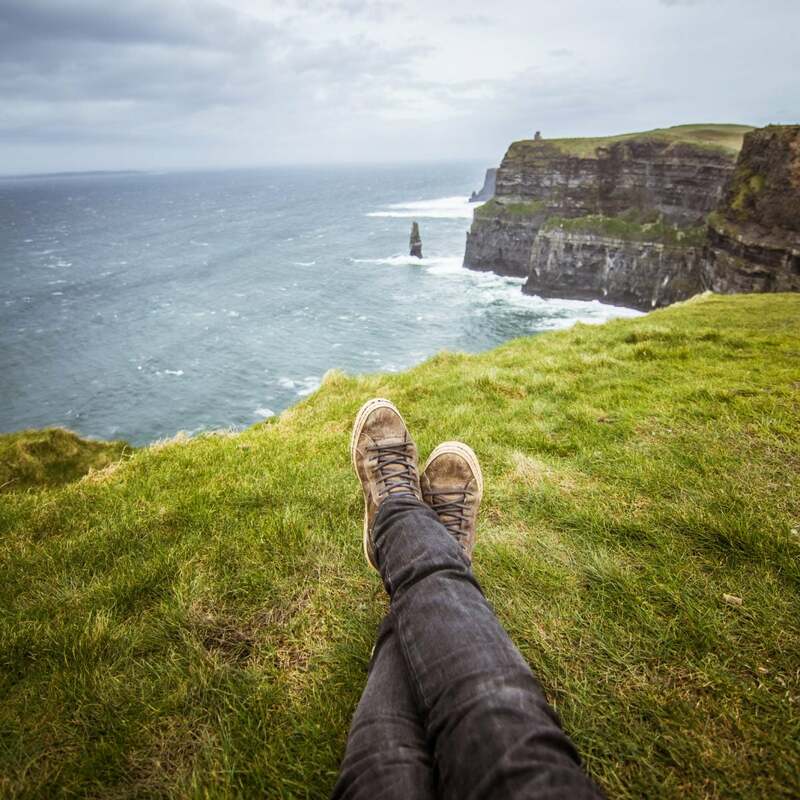 Explore Ireland While Working Abroad! For those looking to explore the Emerald Isle for an extended period of time, obtaining a working visa in Ireland is a great solution. You’ll be able to work during the days and travel the countryside on the weekends. Also, it’s easy to get to Europe cheaply with miles & points. Limitations: You must be at least 18 years old to apply. But there is no upper age limit, making this a great option for older student travelers! The one caveat is travelers must be either currently enrolled in post-secondary education classes or have graduated within the last year. When you apply for this visa, you’ll be required to show proof of enrollment or graduation to qualify. Other important information: You’ll need to apply for this visa either in person or by mail at either the Embassy of Ireland in Washington DC or one of the Consulates. You will need to also show you have $4,000 in your bank account, current health insurance, plus a return ticket. Your “return ticket” can be to anywhere outside of Ireland and must be dated no more than 12 months after your arrival date. 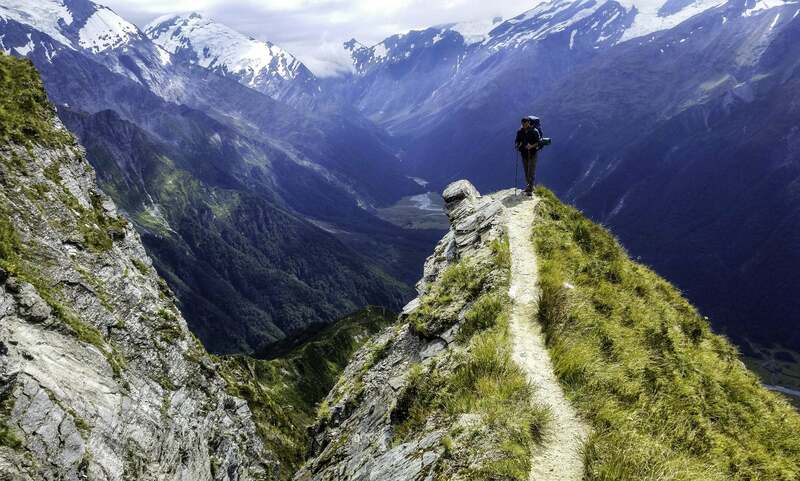 New Zealand is the place for those looking to enjoy an active lifestyle, with unlimited access to the outdoors. This spot would be a the top of my list, and not just because of my Lord of the Rings obsession (although that certainly doesn’t hurt). Although people do frequently mention that it’s somewhat expensive to travel here, working in New Zealand with the option to explore on off days would help curb those expenses. Limitations: Age range is 18 to 30. You’ll need to have at least 4,200 New Zealand dollars (~$2,800) in your bank account. You must also have a return ticket or proof that you have enough money to purchase a return ticket (in addition to the 4,200 New Zealand dollars). Other important information: You must apply for this visa online, have a current US passport, and may not accept a permanent job while you’re in New Zealand. People travel to Australia for a variety of reasons. Some want to spend time surfing, others are interested in learning more about the outback, and some US citizens find it appealing to travel in a country where there is no language barrier. The Australia visa program is very similar to New Zealand’s, but with a few key differences to watch for. Limitations: This visa is open to people between ages 18 to 30. 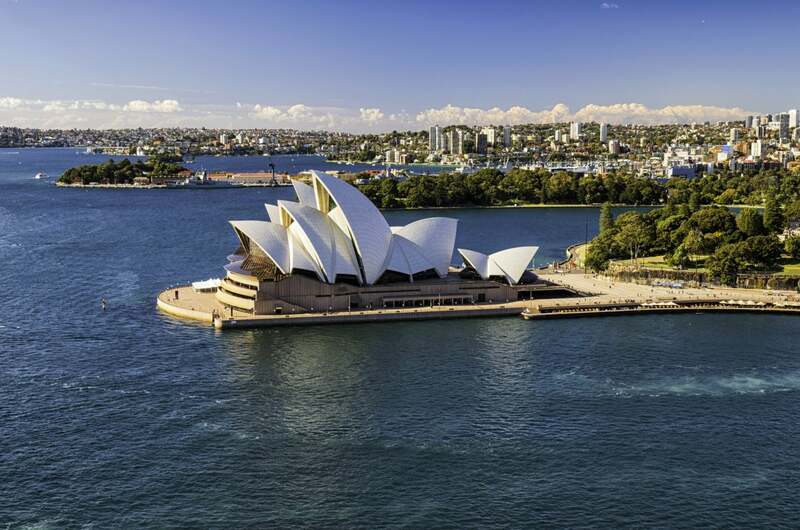 One interesting rule with this visa is that, although you can work in Australia for up to one year, you can usually only work with one employer for a maximum of six months. This means that you’ll need to leave your first job after six months and find another one for your last six months on the visa. Other important information: You must have at least 5,000 Australian dollars in your bank account to qualify for this visa. You must also purchase a return ticket before the visa expires. You can apply online. Under certain circumstances you can apply for a second working holiday visa. There’s something very appealing about spending an extended amount of time in Singapore. You have access to all of the islands in Malaysia. You can eat street food for every meal, or splurge at an extravagant restaurant on special occasions. If you start to feel overwhelmed by the compact city and giant skyscrapers, take time out at Gardens by the Bay. There’s so much to explore, and by working to extend your time here, you won’t feel rushed to see everything in a short time frame. 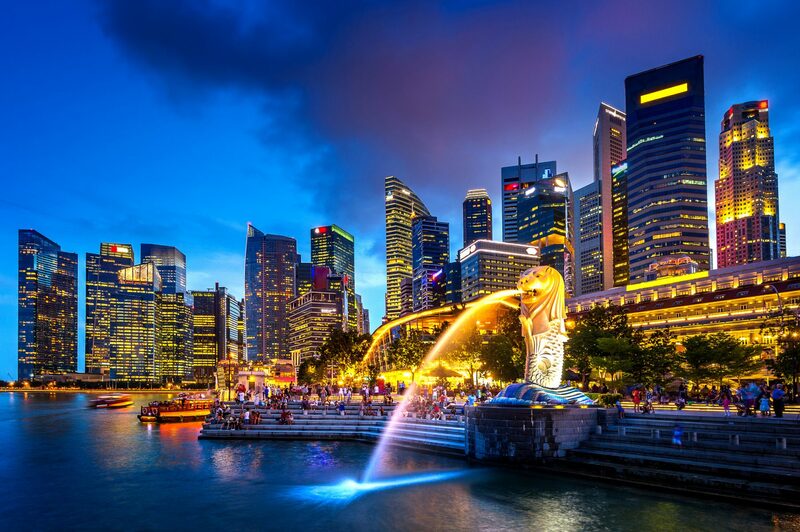 Plus it’s simple to get to Singapore with easy-to-earn United Airlines miles! Limitations: This visa is available if you’re between the ages of 18 to 25. It’s open for full-time students who are currently enrolled in a graduate or undergraduate program at a government recognized university or for young graduates who were full-time students. Undergraduates must have been a full-time student for at least three months before applying for the visa. Other important information: You can apply for this visa online. 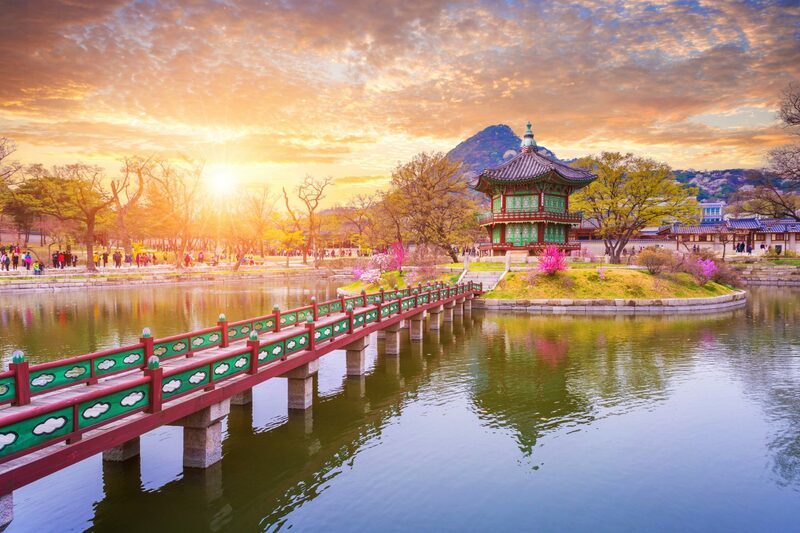 High-speed trains, K-pop, and kimchi are all great reasons to spend time in South Korea. This destination is a bit more off the typical travel circuit, which could be part of the appeal. Pick up some new language skills and perfect your beauty routine with SoKo skin care. There are so many strange and wonderful reasons to visit South Korea. Limitations: This visa is available for people between the ages of 18 to 30 who are currently enrolled in college or have graduated in the last year. There are also restrictions on the type of work you can do. For example, you’re prohibited from getting a job in law, medicine, or journalism. Teachers and foreign language instructors will need a different (E-2) visa. Other important information: You’ll apply for this visa through a Republic of Korea embassy or consulate in the United States. You must be able to show a return ticket and proof you can support yourself financially for at least 6 months in order to qualify for this visa. If You’re Thinking About a Gap Year, Now Might be the Time to Go! Although I spent a lot of time traveling after college, I also spent most of my money (and had to move into my parent’s basement upon my return – how glamorous). I wish I’d known more about the working visa option. Hopefully, this information helps to encourage some adventurous travelers who are ready to go but concerned about financing their time off. There are definitely options for exploring other countries while making money during your gap year. Some countries also have programs similar to a working holiday visa that US citizens are eligible for, like Canada’s SWAP program and Japan’s JET program. Have you worked on a holiday visa during your gap year? Would you recommend others do the same? If you want to stay on top of the latest travel news, then subscribe to our newsletter. And be sure to follow us on Twitter! For my list i would go Ireland, Japan, Australia. Im working on getting up a US Visa also so i can visit lot of countries i have contracted a concierge services https://visahelp.us.com/ hope they can help me get approve. I agree with Andrew. As an American currently on sabbatical in Thailand, I think an employer who does not see a gap year as a plus then it’s probably not where you want to end up anyway. I left my comfortable job for that very reason. I say take the leap and go after what you want! I love this idea, but there is a slight problem with it. I wanted to do this between undergrad and masters but was told it would be a black mark that would never got away so I didn’t. This was a true statement, unfortunately. 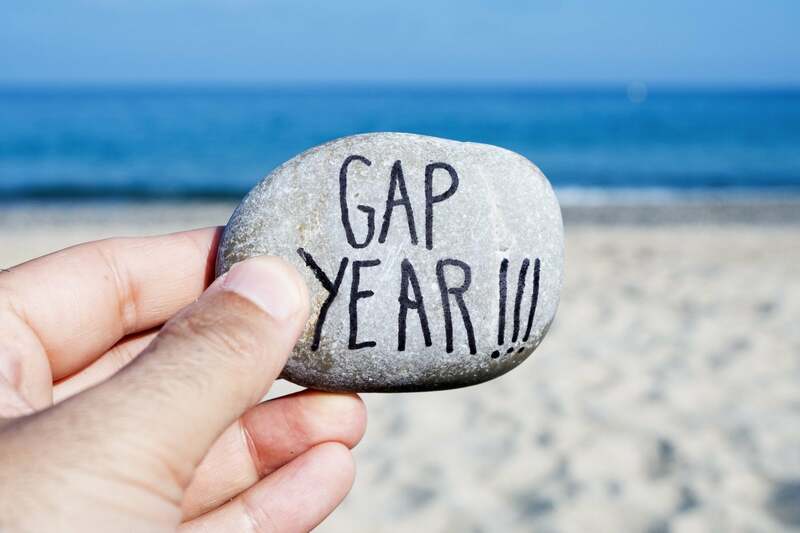 Most employers in the US see a gap year as a really bad thing. I’ve been on hiring committees where someone has take a year before or after school to travel and work menial jobs and volunteer. They are always thrown out of the running, usually before an in-person interview. In the U.S. it is considered a mark of laziness and most people seem to think it doesn’t give you “actual” experience. Here’s how I look at it. If you’re good at what you do, you probably won’t thrive in a conventional hiring environment. You want to work with someone who sees more than just the conventional stuff so that they can help you grow even more, both personally and professionally! Conventions are great and all…but innovation rarely comes from doing things the same way over and over again. And all you really need is one…I repeat…ONE person to say yes to you and see that your gap year is not a weakness, but rather, a sign that perhaps you’re more well-rounded because you having work experience in a completely different culture! That you have LOTS to contribute because of your more diversified life experiences. THAT’s the type of company worth working for. Stay strong Beth, you can do it!